"Secrecy is the keystone of all tyranny"
- this quote from the scifi novel Revolt in 2100 summarized the philosophy of Lee Felsenstein, Efrem Lipkin and the other founders of the Community Memory Project, according to the book Hackers by Steven Levy. The mission of Community Memory was to bring the power of computers to all citizens not just government officials and the sanctioned users in big companies with their IBM mainframes. Efrem and Lee took a donated XDS-940 computer "to the streets" by creating a community bulletin board system with remote terminals placed in community areas. Meetings of Community Memory were conducted in a small shopping center the California Bay Area. People could come to use the public computer terminals for whatever they wished making Community Memory host of one of the first public microcomputing centers, in a timesharing environment. 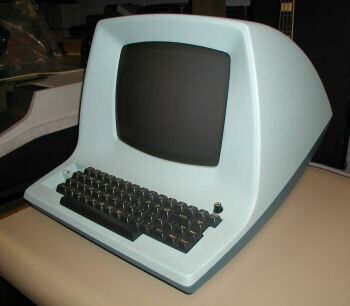 Before the MITS Altair, computers used for microcomputing were available to very few persons and personal computers were almost unheard of. Ted Nelson, author of Computer Lib and Dream Machines was a frequent visitor to meetings. The Peoples Computer Company tabloid was started in 1972 by Bob Albrecht and others. Included in the PCC tabloid were pictures of events, program listings of BASIC programs and suggestions on buying computer parts. Lee Felsenstein occasionally wrote a hardware column for the PCC publication. As you might have guessed the Community Memory Project and The People's Computer Company were closely affiliated. The People's Computer Company was the birthplace of the Doctor Dobbs Journal.